India and Japan are expected to continue discussing a logistics deal during a summit later this month. The deal would allow both of their militaries to access bases and logistical support from the other. 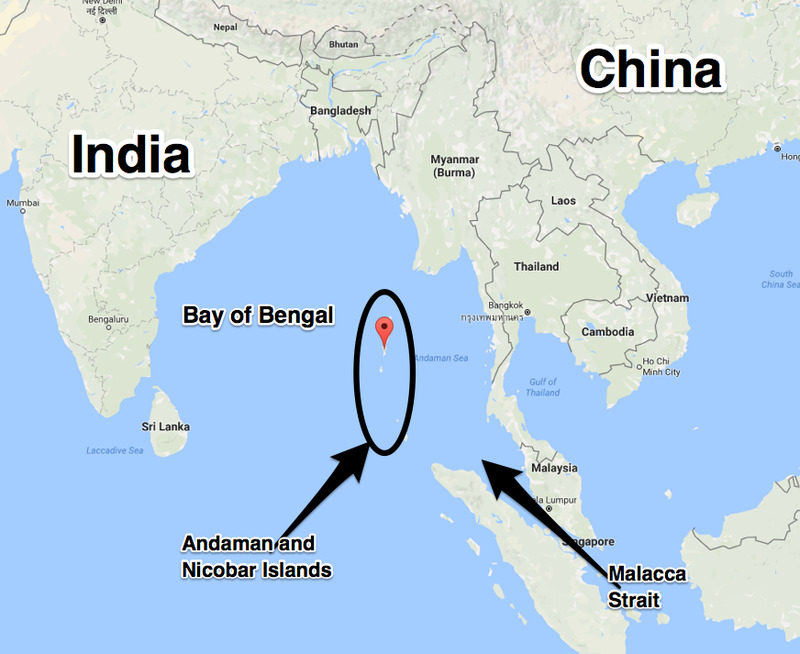 Both India and Japan have sought to counter China’s growing influence in the Indian Ocean region. A meeting between Indian Prime Minister Narendra Modi and Japanese Prime Minister Shinzo Abe later this month may yield more progress on a deal that would allow their armed forces to share military facilities. The proposed agreement, likely to be discussed during the 13th India-Japan summit in Tokyo on October 28 and October 29, would increase their security cooperation in the Indo-Pacific region by allowing the reciprocal exchange of supplies and logistical support, according to the Deccan Herald. The proposed deal was first discussed in August, when Japan’s defence minister at the time, Itsunori Onodera, met with India’s defence minister, Nirmala Sitharaman, in New Delhi. It came up again this month during a meeting in Delhi between Modi and Abe’s national-security advisers. (US Navy photo by Mass Communication Specialist 3rd Class Cole Schroeder)Ships from the Indian Navy, Japan Maritime Self-Defence Force (JMSDF), and the US Navy sail in the Bay of Bengal as part of Exercise Malabar, July 17, 2017. Sources with knowledge of preparations for the summit told the Herald that the deal would allow Japan and India to exchange logistical support, including supplies of food, water, billets, petroleum and oil, communications, medical and training services, maintenance and repair services, spare parts, as well as transportation and storage space. It’s not clear if any agreement would be signed this month, though there are signs India and Japan want to conclude it in the near term, given plans to increase joint military exercises next year and in 2020, according to The Diplomat. The deal would not commit either country to military action, but it would allow their militaries – both among the most powerful in the world – to access ports and bases run by the other. 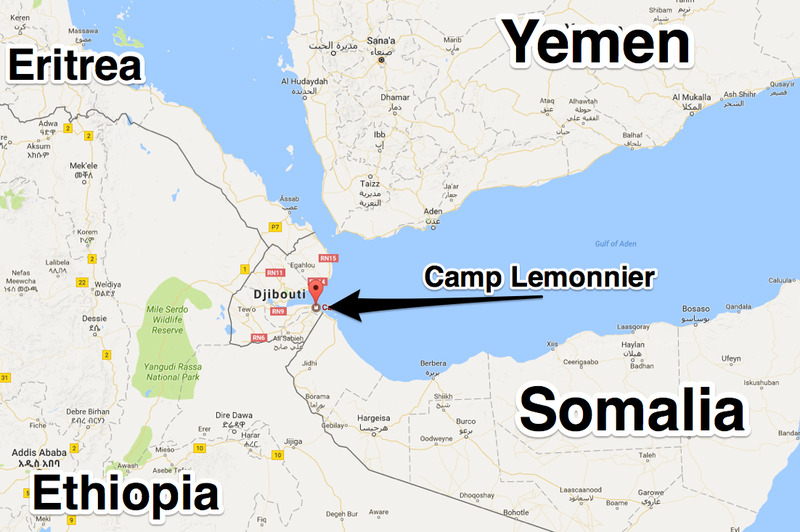 For India, that means it would be able to use Japan’s base in Djibouti, which is strategically located at the Horn of Africa between the Suez Canal and the Indian Ocean, overlooking one of the world’s busiest shipping corridors. 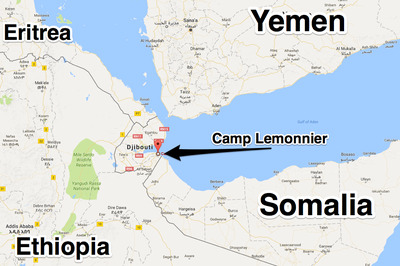 Google MapsCamp Lemonnier, a US military base in Djibouti, is strategically located between the Horn of Africa and the Arabian Peninsula. India has started stationing advanced P-8 Poseidon maritime patrol planes and maritime surveillance drones at the Andaman and Nicobar Islands. At the summit later this month, Japan is also expected to raise India’s potential purchase of 12 Shinmaywa US-2i search-and-rescue and maritime surveillance planes, which would also be stationed at the islands. Further discussion of an India-Japan logistical-support deal comes as those two countries and others seek to ensure freedom of movement in the Indian Ocean and to counter what is seen as growing Chinese influence there. Japan, which, like India, has territorial disputes with China, has sought to expand its military’s capabilities and reach. Earlier this month, Japan’s largest warship, the Kaga helicopter carrier, sailed into the port at Colombo, in Sri Lanka – a visit meant to reassure Sri Lanka that Japan would deploy military assets to a part of the world where Chinese influence is growing. 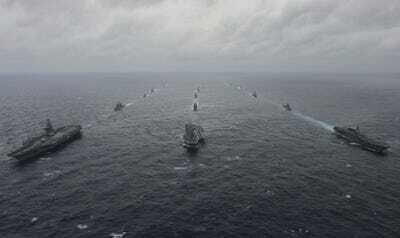 A few days after the Kaga left Colombo, Sri Lanka navy ships were scheduled to conduct exercises with both the Indian and Japanese navies. Japan has also expanded its security partnerships with countries around the Indian Ocean and pledged billions of dollars for development projects in the region. 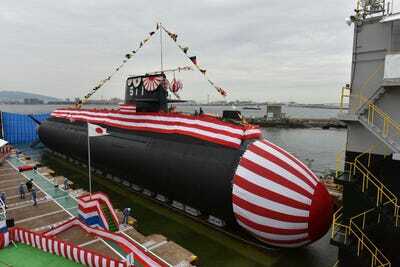 JMSDF/TwitterThe JSMDF submarine Oryu at its launch on October 4, 2018. 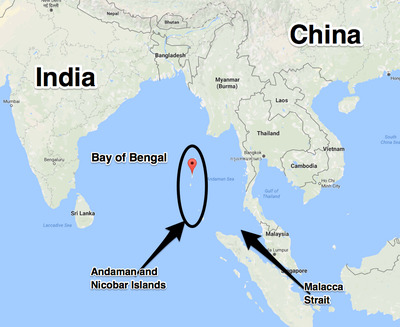 Beijing’s activity around the Indian Ocean region is particularly concerning for Delhi. China’s base in Djibouti, its role in the Pakistani port of Gwadar, its 99-year lease of the Hambantota port in Sri Lanka, and other infrastructure deals with countries in the region have set Delhi on guard, Faisel Pervaiz, a South Asia expert at the geopolitical-intelligence firm Stratfor, told Business Insider earlier this month. “India’s view is that South Asia’s our neighbourhood, and if another rival military power is expanding its presence – whether in Bhutan, whether in the Maldives, whether in Sri Lanka, whether in Nepal – that is a challenge, and that is something that we need to address,” Pervaiz said. 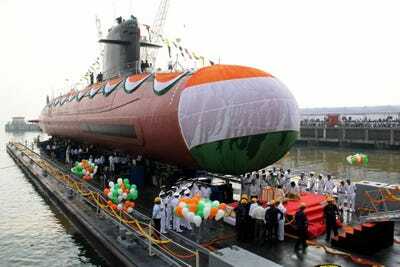 Indian navyIndia’s first-in-class Kalvari submarine during floating at Naval Dockyard in Mumbai in October 2015. India is working to develop a port at Chabahar on Iran’s southern coast, which would provide access to Central Asia and circumvent existing overland routes through Pakistan to Afghanistan. 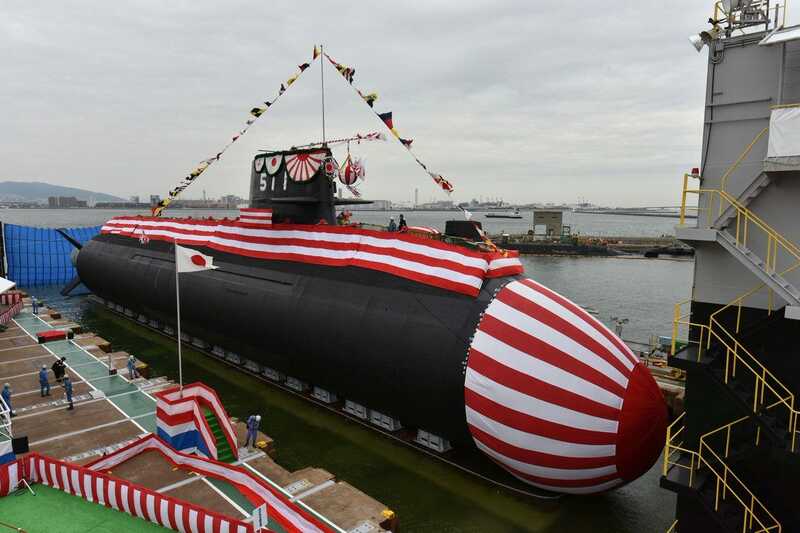 India is particularly concerned about Chinese submarine activity in the Indian Ocean and has held anti-submarine-warfare discussions with the US and is seeking to add more subs to its own force.